There are really two primary options to consider when it comes to plywood for the roof deck: OSB or CDX. 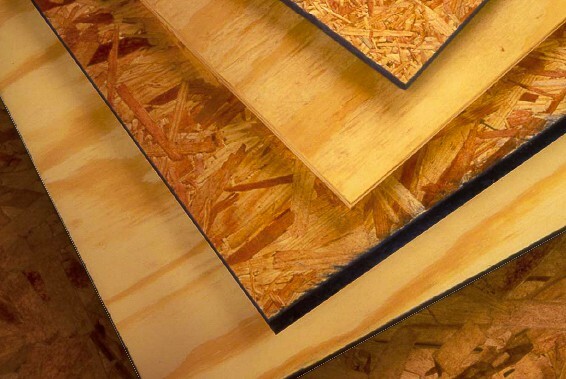 Oriented-strand board (OSB) is nearly 50% cheaper but, as you may imagine, at least 50% value is lost as well. CDX plywood has more shear and tensile strength. It also holds up better to moisture when exposed, although no wood product can last long unprotected. We believe there are many reasons for CDX to be considered a better option for roof decks, but one stands above the rest: superior fastener holding power. We tear off old roofs every day and some shingles are fastened better than others. In cases where OSB has been used for the roof deck the tear off is usually easier and faster by 30%. The shingles and fasteners usually don’t need much persuasion to be removed. If you have the time, here is an interesting article on the pros and cons of both products.